Debris Free Oceans travelled to our local recycling plant to get the scoop on recycling in Miami. Inside the article learn the “do’s and do not’s” of recycling in Miami and the deeper economic and political reasons why Miami residents need to start taking ownership of what they place into their recycling bin. 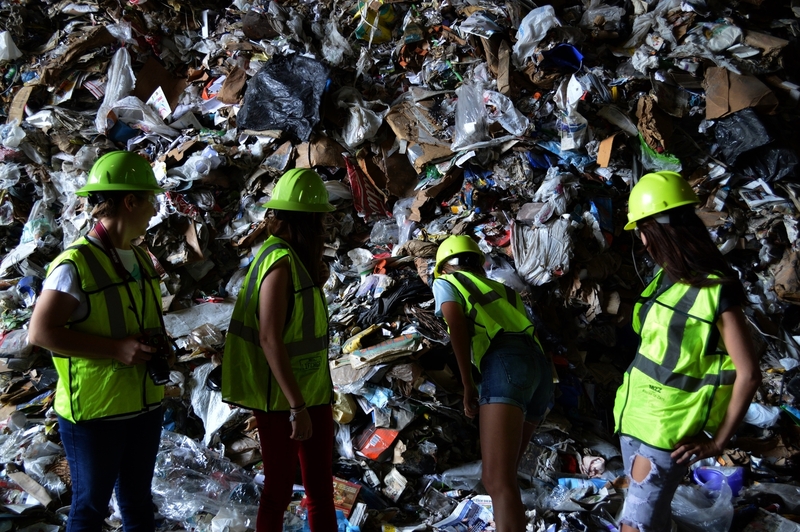 One of the largest recycling facilities in the United States, Waste Management’s Pembroke Pines recycling plant receives 40-50 tons of potentially recyclable waste every hour from the counties of Monroe, Miami-Dade, Broward, and Palm Beach. In addition to waste sent directly to landfills, Miami-Dade County residents send nearly 6,000 tons of potentially recyclable material to the facility each year. At the surface, these numbers incite hope that Miami has succeeded to an astounding recycling rate; however, Waste Management only recycles 30-40% of this material. 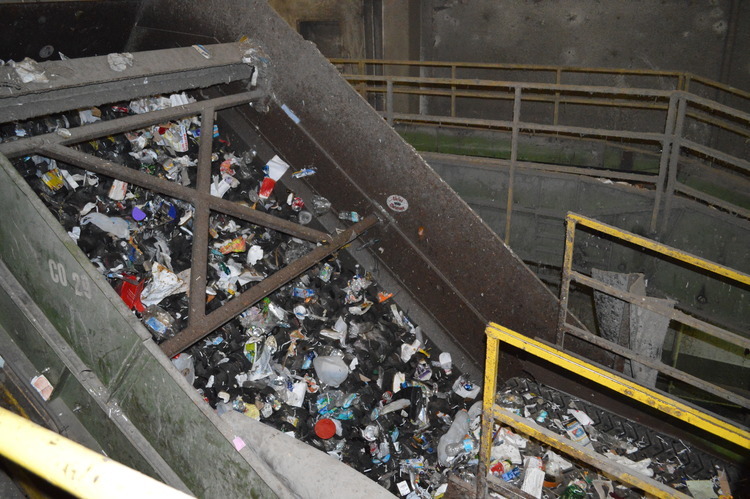 A facility strewn with toilet seats, Christmas lights, and hoses, our general confusion about the recycling process forces Waste Management to waste time and money merely deciphering whether items are recyclable. This financial drain on the recycling center leads to less recycling despite technology’s capability to recycle more. For example, plastic cups so frequently contain food contamination that Waste Management has adopted a blanket policy to trash all plastic cups despite the recycling symbol imprinted on them. Not surprisingly, the facility lacks the time and financial resources to individually inspect each cup for contamination. This high-alert to contamination arose in 2013 when China adopted “Operation Green Fence,” a series of regulations on imported materials from foreign recycling plants. Prior to the 2008 financial collapse, this policy would not have had such a crippling effect on U.S. recycling facilities, but because nearly all U.S. manufacturing facilities using recycled materials moved to China after the collapse, domestic recyclers had no option other than to comply with stricter demands. 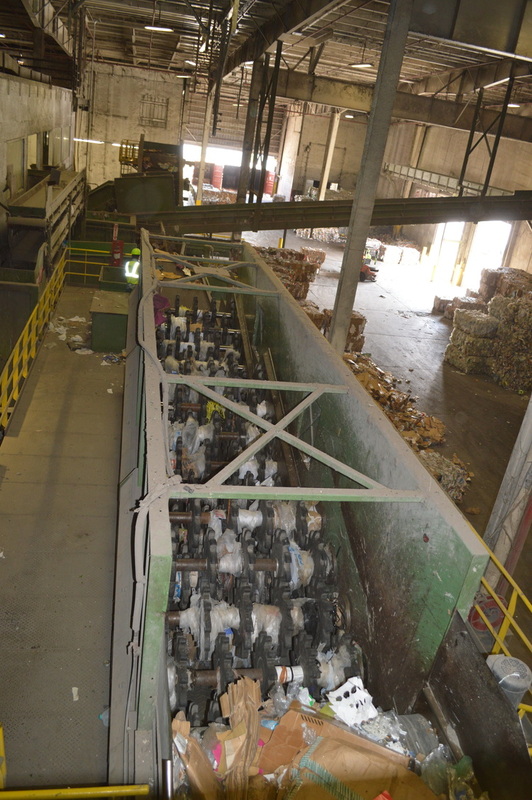 Currently, if any bail of recyclables from our local plant contains greater than 5% of contaminated material, China may immediately return the bail on the recycling plant’s bill or renegotiate the contracted price. Although Operation Green Fence hurts recyclers’ profit margins, it will ultimately lead to better education about how to properly recycle and eliminate countries’ tendency to ship garbage disguised as recyclables to China. The spectrum of items we recycle increases as recycling profits grow, and the range of recyclables in Miami remains slim because we still haven’t mastered recycling the simplest items. In other words, Waste Management spends so much time sorting through our trash for recyclable scraps that they cannot even begin to focus on expanding upon what items we recycle. 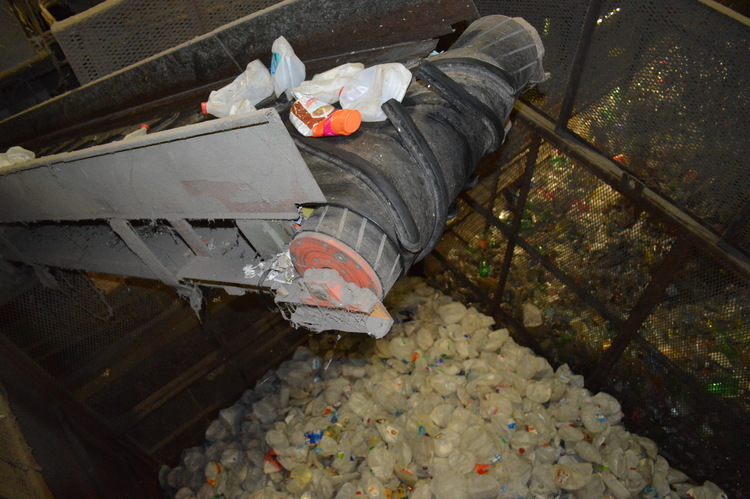 This machine sorts plastics from paper, with the lighter paper moving upward and heavier plastics falling down. 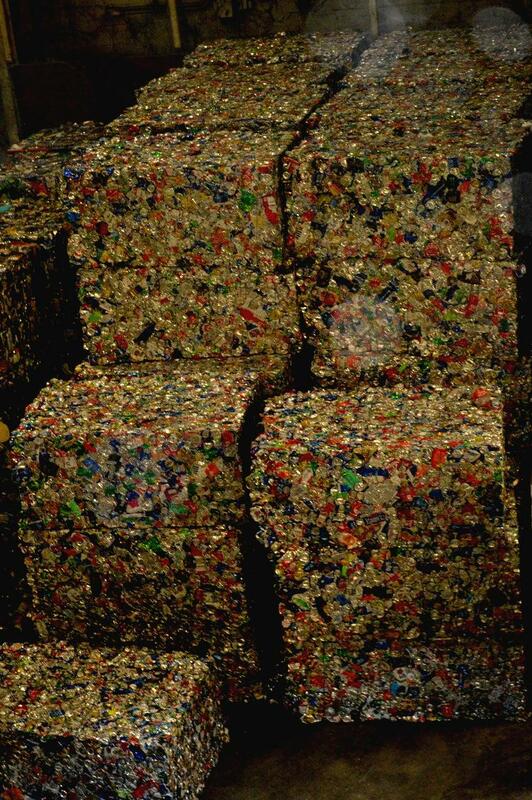 Clear plastics are separated from colored plastics prior to being bailed. We need to prove ourselves capable of properly recycling plastic bottles, office paper, cardboard, glass jars, and aluminum cans before we can begin recycling all the other seemingly recyclable goods out there. That being said, no longer can we justify our occasional use of a plastic cup or take away container because we can “recycle” it. Practically speaking, just because an item contains a comforting circle of arrows does not mean it can be recycled. As a first step towards enhancing recycling in Miami-Dade County, below is a “do and don’t” list for each category of recyclables. It should be noted that all items sent to recycling must be clean (no food or mangrove muck contamination). 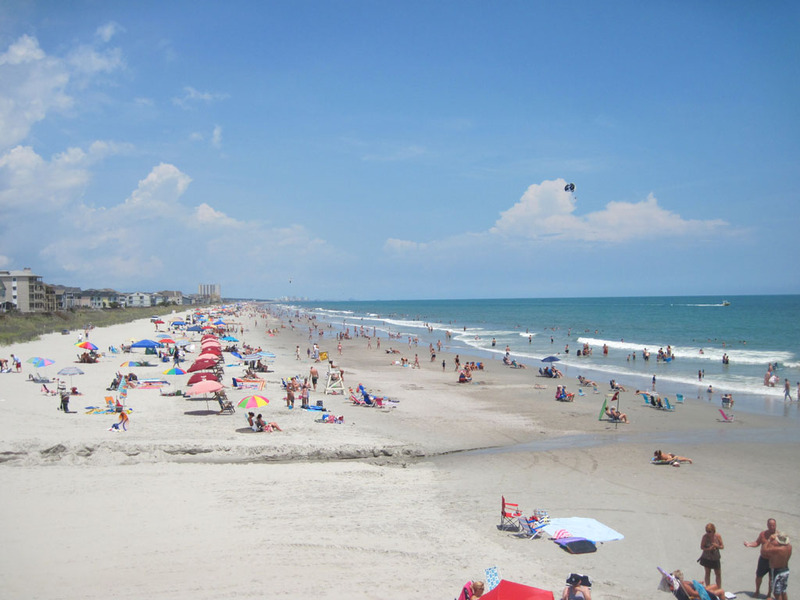 Any plastic containers that do not have a narrow-neck, (e.g. solo cups, Starbucks to-go cups for cold drinks, or yoghurt containers), straws, single-use plastic grocery bags (Note: Single-use plastic bags clog recycling machinery and further slow down the recycling process. If you need to recycle these bags, you can take them to Publix, which runs a separate recycling program specifically for plastic bags.